AsiaTRI talked to Timothy Cosulich, the winner of the M30-34 age group at Ironman Malaysia, it was also his first Ironman. 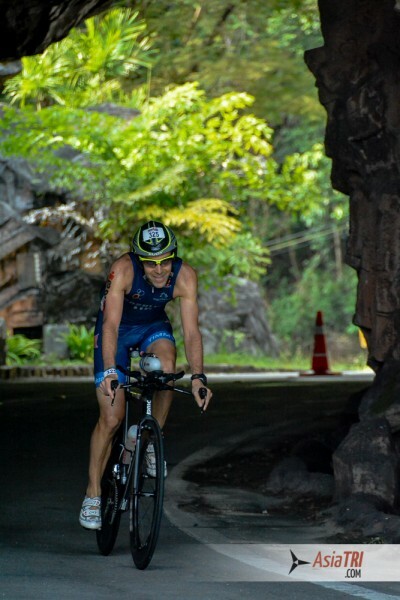 Learn more about this dedicated Italian athlete based in Singapore that will be racing at the Ironman World Championships in Hawaii 2015. I played waterpolo for a number of years in Italy, U.K., Spain, and Holland at a National League level. In 2010 I wanted to raise money for a hospital in my home city and to do so I registered for Ironman Zurich, which eventually happened to be my very first triathlon race (in hindsight, at least an Olympic Distance race before the Ironman would have been useful…). The day after registering, I went to buy my first bike (a very basic aluminum one!) and that’s when my triathlon journey began. 6 months of hard training with plenty of beginner’s mistakes and frustrating moments… Nevertheless, I always felt my family and friends’ amazing support. The race eventually went well (10h27min) and I was happy with my result (particularly because of the amount of money I was able to raise for the hospital!). I therefore decided to continue with triathlon, bought a nicer bike and registered for a few more races. For my last race (IM Langkawi), I swam approx. 10-11k per week, rode 400-450km per week, and ran 40-50k per week. A typical weekend would include a 190k ride on Saturday and a 120k ride + 20k run brick session on Sunday. During the week, on the other hand, the only time I can train is very early in the morning or in the late evening, which can be sometimes tiring. What is your favorite race in Asia and why? Laguna Phuket Triathlon, for sure. Great atmosphere, perfect organization, challenging and fun course, high level of competition. I’ve done this race for the past 4 years and will do it again this year! 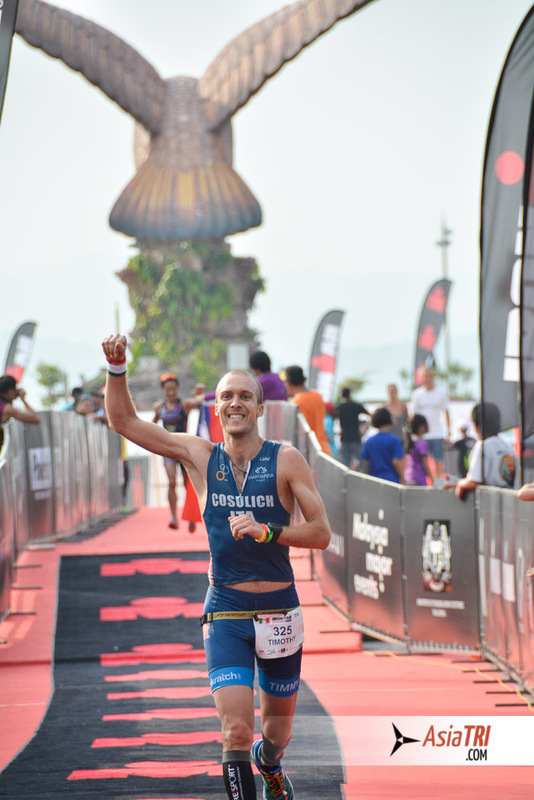 My first good result was at IM 70.3 Singapore in 2012 where I did 4h27min and was 2nd age grouper overall. 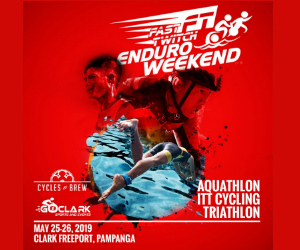 This is the race where I qualified for the IM 70.3 World Championship in Las Vegas. In 2013 I did my marathon PB in New York (2h46min) and 2 weeks later I was first overall age grouper at Laguna Phuket Triathlon. 2014 has been a good year so far with a PB at IM 70.3 New Zealand (4h15min), a first place in my AG and 2nd age grouper overall at IM 70.3 Putrajaya, 1st overall at Port Dickson International Triathlon, 1st overall at Metaman Blitz and finally the most recent race, Ironman Langkawi where I was 1st in my AG and 3rd age grouper overall. 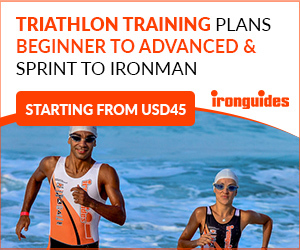 The two goals I have for next year are to have a good race in Kona, possibly going under 9h30min, and to get as close as possible to the 4h mark on an IM 70.3 race. On the swim I like open-water sessions. Unfortunately we don’t get to do many of those here in Singapore due to the poor quality of water. On the bike, I do enjoy big gear sessions… sets of 30 minutes on the biggest gear. These sessions are particularly useful for us in Singapore since we don’t have any big climb on the island. On the run (I hope Jurgen is not reading this!) I actually don’t mind his “signature session”, 30 x 800m on 3min with 200m jog in between. My favorite session though is the 20 x 200m on 30sec with 2 min recovery: I like speed-work!